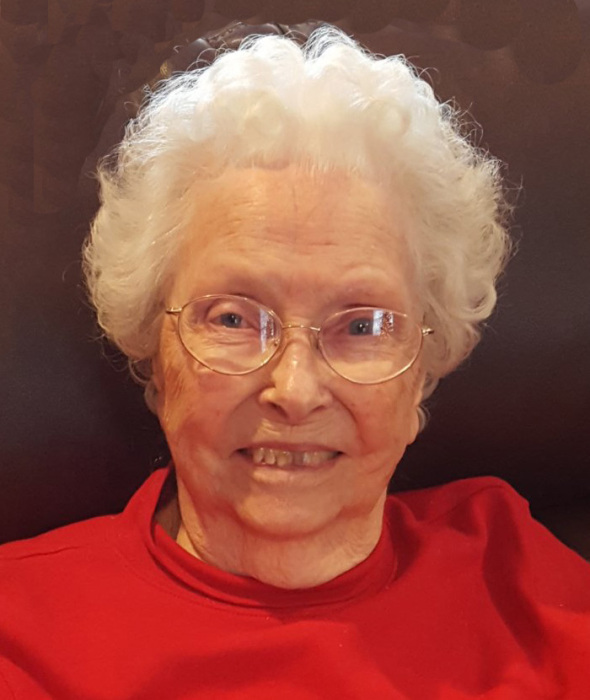 Viola J. Eckstrom, 95, of Palmer died Friday, June 15, 2018 at Brookefield Park in St. Paul. Visitation will be on Monday, from 5:00 – 7:00 p.m. at the church. Memorials are suggested to the Wesleyan Church or Rose Hill Cemetery. Viola J. Eckstrom, daughter of Darwin and Sarah (McMurrin) Peck, was born September 12, 1922 on a farm south of Palmer. Viola’s mother died when she was a young girl and her dad Darwin, married Esther (Glause), who helped raise Viola. Viola attended school at District 45 school, south of Palmer and Clarks High School. She was united in marriage to Ervin Eckstrom on July 3, 1945 in Palmer. The couple celebrated 56 years of marriage. To this union, four children were born. Viola was a homemaker and took care of her family. Viola did a lot of sewing, making clothes for her family. She loved to garden and can her produce. She also liked roses and violets. She was a charter member of the Wesleyan Church of Palmer. Survivors include three children, Dennis (Janet) Eckstrom and Lonnie (Cheryl) Eckstrom, all of Palmer, and Linda Kruse of Grandview, MO; a son-in-law, Robert Pulscher of Palmer; 16 grandchildren; 29 great-grandchildren with another one arriving soon; and 3 great great-grandchildren. 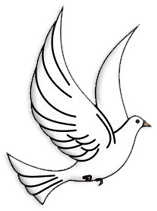 She is preceded in death by her parents; husband, Ervin on September 23, 2001; a daughter, Gaylene Pulscher; a son-in-law, William Kruse; four brothers, Delmon, Oliver, Wayne and Delane Peck and three sisters, Iva Freeland, Claretta Ita and Arlene Steinke.